Earlier today was the San Diego Comic-Con panel for The Legend of Korra. Present at the panel were show creators Michael Dante DiMartino and Bryan Konietzko, as well as several cast and crew members. During the panel they debuted the trailer, screened the first episode from Book Two: Spirits, and confirmed an air date of September 2013! There were hints that the first episode might be released online, but until then, we have the trailer for you! 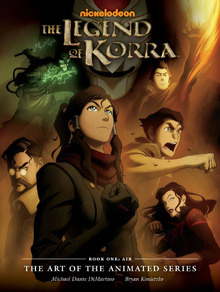 The Legend of Korra co-creator Bryan Konietzko just announced that the entire first episode of Book Two: Spirits is going to screen during at the Legend of Korra Comic-Con panel on Friday! The panel will be from 11:15am to 12:15pm on July 19th in Ballroom 20. Bryan Konietzko and Michael Dante DiMartino, as well as select cast and crew members will be there. Over the past couple months we've learned a lot about Book Two of The Legend of Korra. We've gotten hints at plot lines, seen new locations, and learned of new characters, all thanks to things like The Legend of Korra: Enhanced Experience and Tumblr. And, from what we've been shown, Book Two: Spirits appears to have a wealth of new characters. Luckily for us, Entertainment Weekly just revealed the voice actors for who will be breathing life into these new characters! 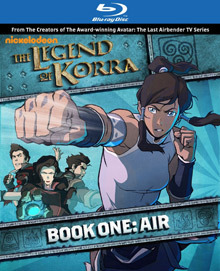 Giveaway: Win Various Prizes from 'The Legend of Korra - Book One: Air'! 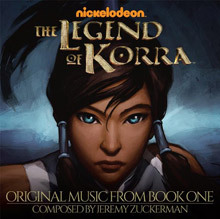 This week is finally the release of the Blu-ray & DVD for Book One: Air of The Legend of Korra, and next week is the release of the official soundtrack by Jeremy Zuckerman. In celebration of this much awaited event, as well as the redesign & relaunch of LAF, we're giving away a bunch of cool Legend of Korra stuff! So just what are we giving away?